Hire the professional air duct cleaning service in Memphis to remove years of accumulated dirt and dust from the ductwork of your HVAC system. Concealed behind the walls, air ducts are one of the major culprits for poor indoor air quality and HVAC system inefficiencies. Various pollutants and particulate materials, such as dust, dirt, pollen, animal dander, and other contaminants, may get pulled into the air ducts, making the HVAC system a safe haven for disease-causing microorganisms that re-circulate the home, influencing the health and comfort of your loved ones. To help you keep various respiratory problems and allergies at bay, Memphis HVAC and Plumbing offers air duct cleaning service in Memphis. Utilizing our in-depth expertise, extensive experience, and high-performance blowers, vacuum cleaners, and brushes sourced from best manufacturers, we ensure that your air conditioning unit’s ducts are free from all types of pollutants and that you enjoy a clean, fresh indoor environment that promotes health and wellbeing of you and your family. Why Get the Air Conditioner Duct Cleaning By Memphis HVAC and Plumbing? The regular dusting and vacuuming processes we use at our homes and offices are not efficient enough to remove the dust and dirt present between cracks or on hidden surfaces. As a result, these pollutants may end up in the air ducts of the HVAC system and re-circulate again and again, leading to breathing problems. 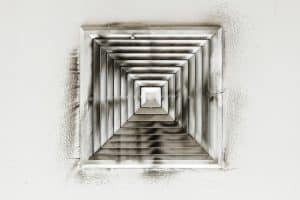 In order to achieve the optimal indoor air quality, it is important that you hire a professional air duct cleaning service to get rid of all pollutants. Besides creation of a healthy, safe indoor environment, air conditioning vent cleaning also offers great energy savings. The pollutants accumulated in the air ducts may obstruct the air flow, causing your HVAC system to do more work in order to achieve the optimal temperature. This not only increases your energy bills, but also influences the durability of your air conditioning unit. With Memphis HVAC and Plumbing’s air conditioning duct cleaning service in Memphis, you achieve great energy and cost saving benefits, while enjoying the peace of mind that comes from knowing that you’re breathing in clean, fresh air. At Memphis HVAC and Plumbing, we understand that removal of visible surface contaminants and deposits is not sufficient to achieve the optimal indoor air quality. The process requires thorough HVAC cleaning services. Therefore, we clean every single component of your HVAC system, including the ductwork, grilles, vents, air handling units, and diffusers. The air duct cleaning process comprises of three stages — brushing, vacuuming, and washing. Once we are done with air conditioning vent cleaning, we reinstall all the components to ensure proper airflow through the HVAC system. If you are interested in learning more about how Memphis HVAC and Plumbing can help you improve the indoor air quality of your home, or discount air duct cleaning, you may contact us at 901-308-4068.